Then he tries to paint a rosy picture of what the innate human character is like. But ignores the true character of man. History tells us that man’s inhumanity to man has dominated since Adam’s sin. Only through Christ, and Him alone, can man be delivered from his innate propensity towards evil. Sin and a depraved nature lies at the heart of every human. The error of the Enlightenment philosophers is this—the belief that man is basically good. Then why with all that enlightened education did Hitler, Stalin, Mao, Pol Pot and the like, murder so many millions? 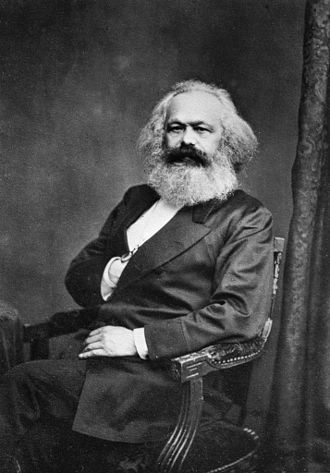 The answer: they were following the enlightened philosophy of Marx and others, who taught that man is the captain of his own destiny. And that there is no ultimate Judge. Which is a statement that Mao and Stalin would have agreed with. In chapter 46 “What Is and What Ought to Be” he discusses the issue of what absolute standards. He agrees with David Hume, that there is a difference between what is and what ought to be. He says this is only an apparent problem for naturalism. This is a false comparison. For starters, we can deny the validity of Darwinian evolution or the expansion of the Universe. Both are subject to scientific investigation. Though both rely on interpretation of present day evidence to find if it is consistent with alleged past event(s), or not. That fact makes the science weak in the same way forensic science, where only circumstantial evidence is available, is weak. Secondly, Hitler used the so-called science of his day—eugenics—to justify his ‘moral’ decision of the Final Solution. The so-called science was the offspring of Darwin. It may be true that there can be no moral basis found in nature, with the exception of the nature of fallen man. But to suggest that Darwinian evolution is valid science, which cannot be denied, or it means you are committing a logical fallacy, is also a logical fallacy. In the next chapter “Rules and Consequences” Carroll discusses the ideas around absolute standards and poses some moral quandaries. One of those involves Abraham and Isaac on mount Moriah. Read Genesis 22:1-19. In Abraham’s case, it was a test of his faith. But it is also a rare type of test and one only delivered to a man in close communication with God. Abraham clearly believed that God would achieve in him the promises (make of him a great nation, and that ultimately Christ would come from his offspring). And the promises would be kept even if he went ahead and sacrificed his son as requested by God. Carroll cannot understand such an apparent dilemma, because Abraham placed obeying God above any other rule (“You shall not murder” for example). But there is no God in Carroll’s worldview. His atheism has no moral standards. His brand of “poetic naturalism has little to say about ethics”(p.405). That is hardly surprising. Accordingly ethics is not derived from the nature. But ethical standards are constructed by human beings without heed to any God. This leads to: How do you decide which is the best ethical system to have? Is it founded on “The greatest good for the greatest number” or “Do unto others as you would have them do unto you”? These ethical systems are respectively called consequentialism and deontology. Carroll’s claim is that evolution has provided us with moral commitments. Experimenters working with monkeys, he argues, have established that evolution has produced some sense of fairness. The implication is that evolution has provided man with some nascent moral sense, empathy, fairness and cooperation, as observed in primates. But this is circular. Only by believing evolution has evolved primates to the present status from some earlier form of animal could one attribute any present qualities to that process. And admits that there are “no objectively true moral facts out there in the world” because he cannot find them in nature. But then agrees that “doesn’t mean that there is no such thing as morality” (p.410). Of course not, except he has excluded the possibility that the One Who created the world is also the only one who can give us an absolute set of moral facts. This is called moral constructivism. This only slightly different to moral relativism. The latter says that whatever the society or individual develop as their morals are right. A moral constructivist, Carroll says, also constructs his own morality, but he has no qualms telling others that their morals are wrong. What a mess! Both are lost is the sea of human opinion. Without an absolute from the Creator there can be no right standard. 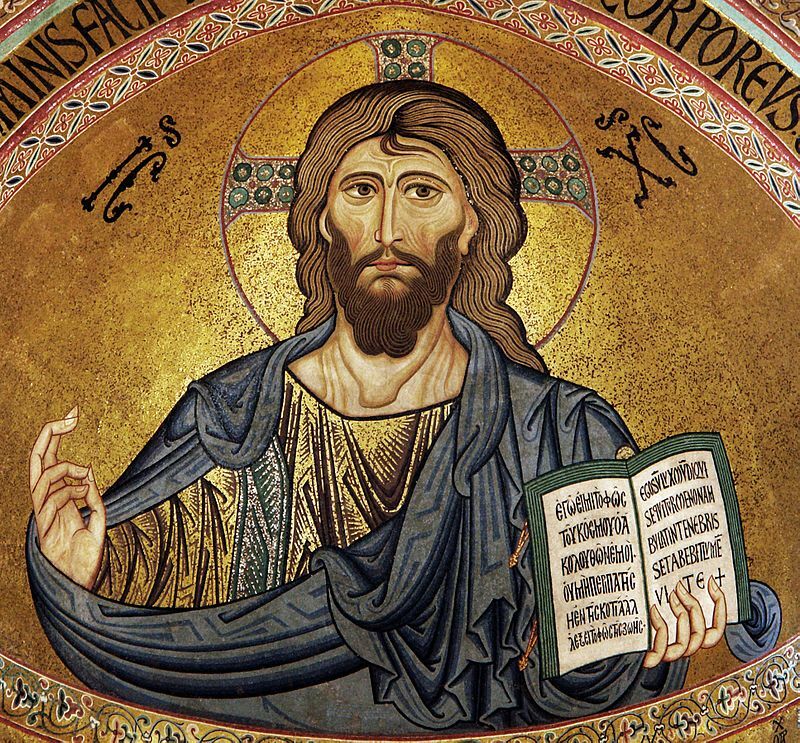 I suggested a new label: Christ constructivism. Only what Christ taught is the correct moral standard. And Christ was and is a far more influential thinker than any of the humanist philosophers like Hume or Kant, who Carroll seems to rely upon. In the following chapter titled “Constructing Goodness” he then takes up the question of what defines goodness. His worldview does not contain any absolute standards thus he has no concept of an absolute good and evil. One approach is utilitarianism, meaning to increase any quality that is perceived as being good when maximised. For example, increasing ‘happiness’ or ‘pleasure’ or ‘well-being’. But this runs into the problem of defining the quality like ‘well-being’ as the same for all involved. Making someone happy does not necessarily make another so. Looking at the population as a whole, the average happiness could be increased by murdering all those who are not happy. That would be a utilitarian approach. Deontological approaches are no better. Regardless of how he constructs his moral code, one thing that you can be sure of, it will keep changing. By contrast God’s standards never change. Jesus Christ is the same yesterday, today and forever (Hebrews 13:8). He never changes, but man changes all the time. For example: marriage has been defined as one man and one woman for the past 6 thousand years. Now western nations are changing that definition by parliamentary vote. Besides that we have seen in the past 50 years the moral erosion accelerating like never before. Once man’s status in the animal kingdom was defined by Darwin—he no longer was seen as created in the image of God—it became a no-brainer to understand that there were no longer any absolute moral limits. As a result we have seen a moral decline from the standard set by true Christianity. Carroll believes that, like the game of basketball was actually improved with the addition of the hoop, morality can also be improved. But that also is fundamentally flawed. Who decides what is sensible? I am sure Adolf Hitler thought his rules were sensible when he attempted to eliminate all ‘sub-humans’ from Europe and murdered 6 million Jews and about an equal number of Slavic people as well. And what about abortion? A million unborn babies are murdered each year in the western nations. Is that sensible? I definitely know it isn’t from the perspective of the unborn child. Carroll does not see any clear reason to establish a morality from a set of objective facts. For example, via the Magna Carta, the laws of most western (now post-Christian) nations were established as based on the Commandments of God. This led to the law of law and not of tyrants and dictators. But this is true only in the Judeo-Christian world. The Muslim world does not have such a basis for rule of law and this is evident in nations that are predominantly Muslim. Figure 3: Excerpt from the book “Growing in Christian Morality” by Julia Ahlers, Barbara Allaire, and Carl Koch, page 40. And whether or not Lutherans don’t include the commandment against graven images or not is irrelevant. The Roman Catholics do in fact remove this commandment (in practice), and thus the fourth commandment found in the Protestant bibles is the third commandment in Roman Catholic doctrine.3 Catholic doctrine splits the 10th commandment (not to covert) into two commandments to make up 10. See Figure 3. But this is hardly a true representation of God’s original handwritten words. Others have proposed their own commandments (atheists, socialists) but how can you determine if they are truth statements? This is the problem that Carroll has not addressed, but rather sidestepped with his moral constructivism. He instead advocates living your life believing that there is nothing beyond the grave. He says there is no Creator. As a result he offers his own, not commandments but only considerations. He incorporates the typical man-can-solve-his-own-problems type statements. Yet he also has stated that we should come to the realisation that there is nothing else. This is a reference to those who think that there is more to life than just matter. He says there isn’t, and once you wake up to that alleged truth you can make your life better. In a nutshell, this is Carroll’s message. Life is just a product of this Universe, and its special low entropy initial state. Everything flows from that. Our current scientific knowledge indicates that there is nothing more than the material existence. There is no God, no soul, no life-after-death, and ultimately there is no real purpose. The only purpose is what you make of your own life. So live that life, be happy, because there is nothing else. In the last chapter the author describes his own Christian experience of attending an Episcopal church—a “brand of Episcopalianism … as mellow as churchgoing gets.” (p.429) There he describes his transformation from being a ‘casual believer’ to naturalism. He writes of two incidents that converted him. One was his realisation that the liturgy of his church was not decided by God. This happened on an occasion when it was rearranged so that there was less standing and kneeling. Still he maintains that at that point he was still a believer. Then he attended a Roman Catholic University as an undergraduate astronomy major. From the education he received he began understand how the Universe worked. Presumably he was taught a big bang evolution worldview and not from a biblical creation perspective. That would not be too hard to guess since Roman Catholic education is atheistic at its core. The only difference is they teach Roman Catholic theology and ethics. Besides several popes have declared the big bang consistent with Catholic teaching. But from his own writings, it is clear that Carroll never knew Jesus Christ as his Lord and Saviour. He never understood what Christ had done on the cross nor its links to the events of the historical creation account in the Garden of Eden. Carroll was once a professing believer in name only who gave up that label after he heard a song with an atheist message “Don’t need the word/Now that you’ve heard/Don’t be afraid/Man is man-made.” From that time on, his claim is that he realised it was ok to be a non-believer. Secondly, Carroll now thinks he is a non-believer, but actually he just shifted his faith, such as it was, over to another belief system. And that belief system is squarely where Satan would have the whole world. If he can get you to believe that the Universe created itself, then he can get you to deny Christ and the One who died for the sins of the world. 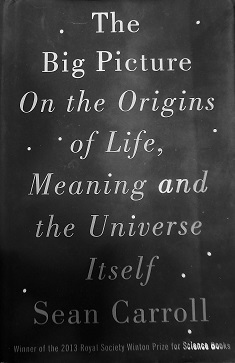 This book highlights the importance of teaching our children and students the whole truth about big bang cosmic evolution, abiogenesis (naturalistic origin of life from chemicals) and Darwinian evolution, the goo-to-you type that allegedly built microbiologists out of microbes over 4 billion years. If we don’t we may be held responsible. I only say ‘may be’ here, because the Scripture tells us that every individual is ultimately responsible for his/her actions, considering the creation shows man the nature of the Creator (Romans 1:20), for his/her acceptance of the Creator God as Lord and Saviour or for his/her rejection of the Lord Jesus Christ, God’s only begotten Son, who paid a substitutionary death on the cross, for all those who put their trust in Him. For those who accept Christ as Saviour, eternal life is given freely but for those who reject Him, the eternal wrath of God is all he/she can expect. There is no other alternative. Bergman, J., Darwinism fosters moral decline, Journal of Creation 31(2): 110-118, 2017. The Romanized ten commandments may be found verbatim in “Growing in Christian Morality” by Julia Ahlers, Barbara Allaire, and Carl Koch, page 40. It has both nihil obstat and imprimatur, which are official declarations that a book or pamphlet is free of Catholic doctrinal error. The authors used the NRSV as their basis to extract thus official Catholic doctrine. Note the NRSV does include the commandment against idol worship.